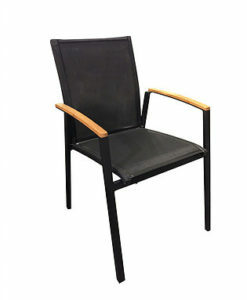 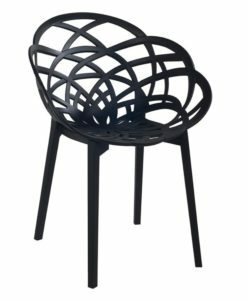 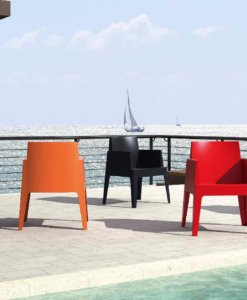 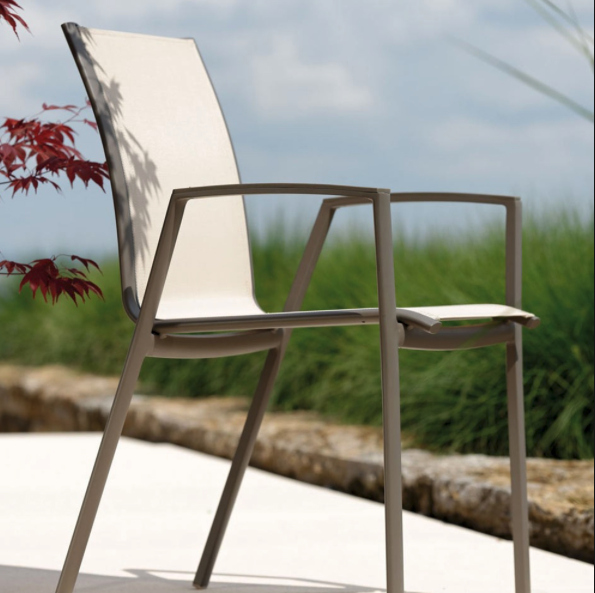 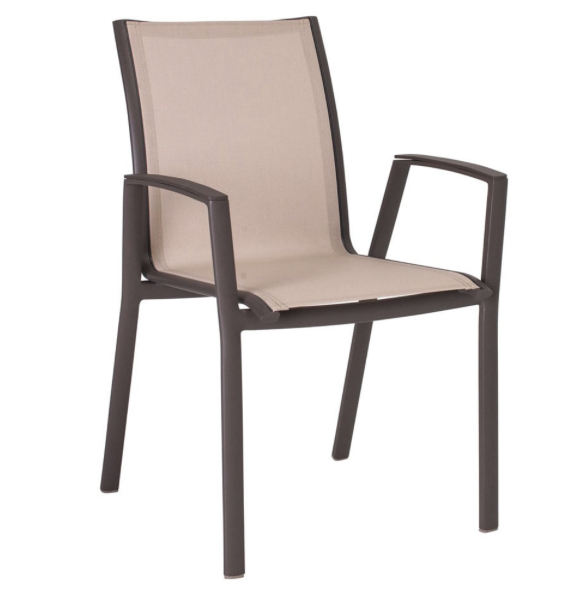 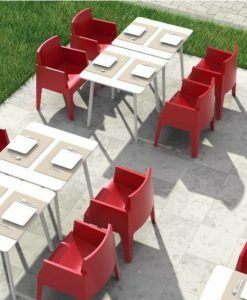 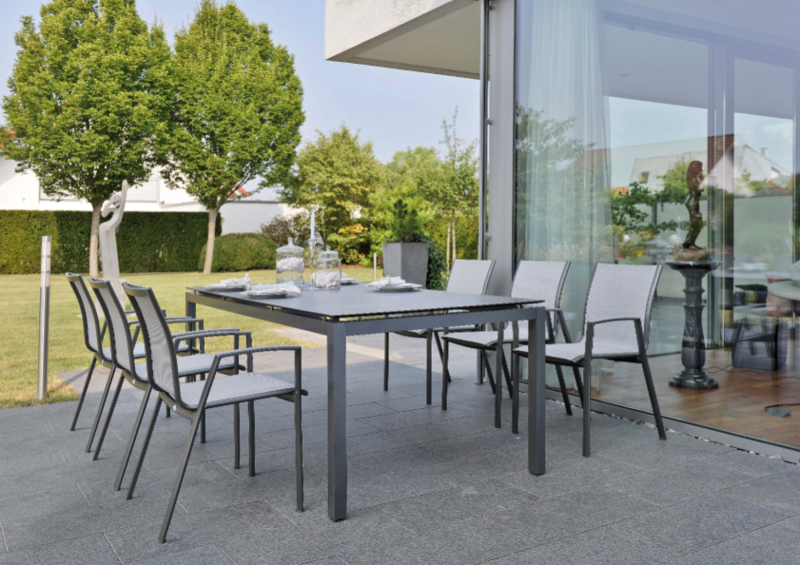 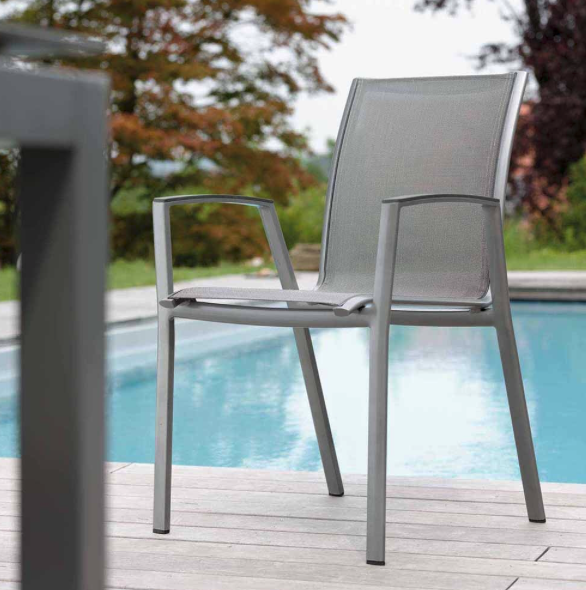 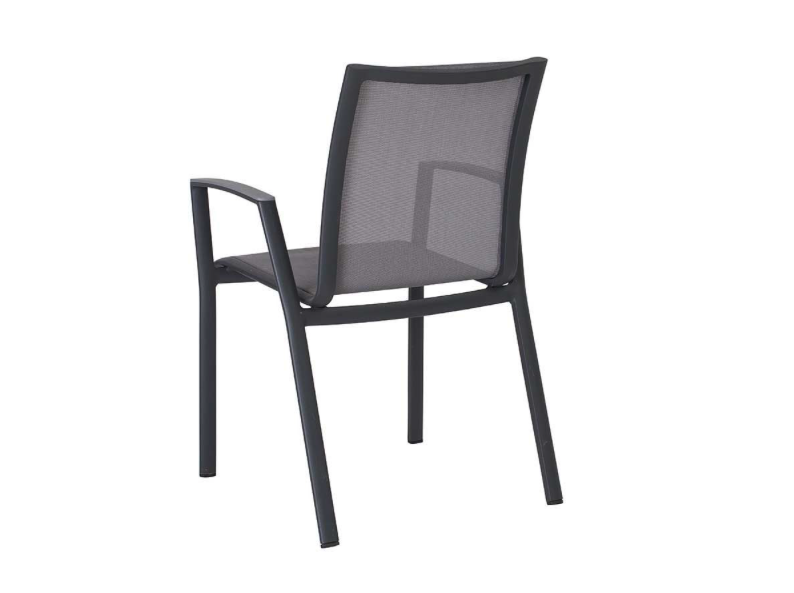 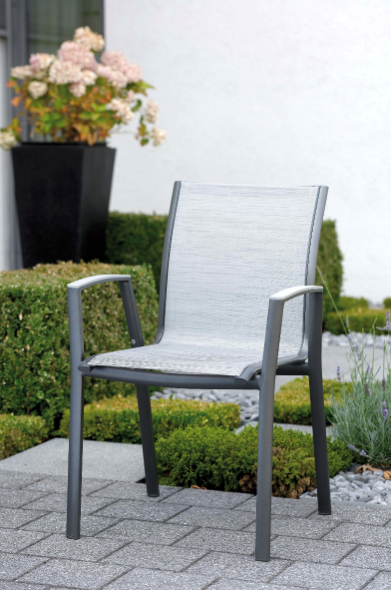 Modern Powder Coated Aluminum Textilene Outdoor Dining Chair flawlessly illustrates what it means o be strong and sleek at the same time. 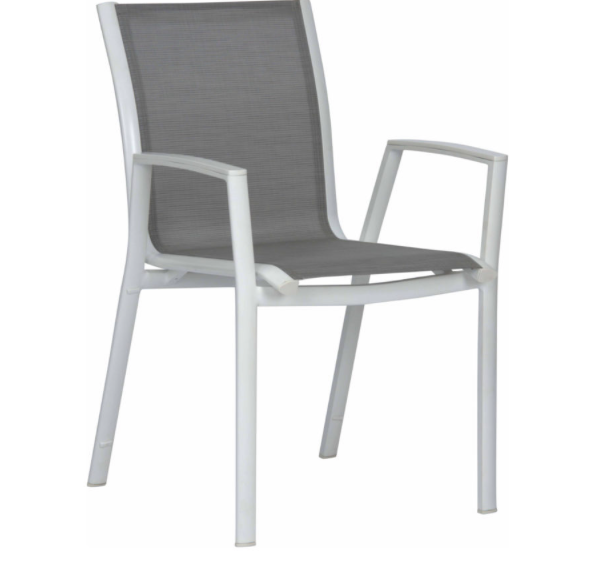 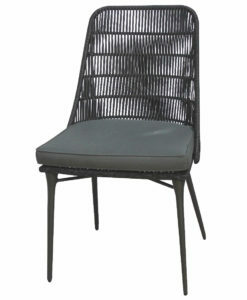 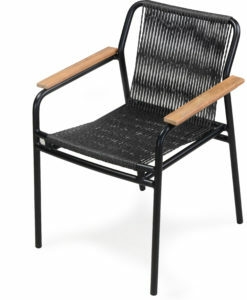 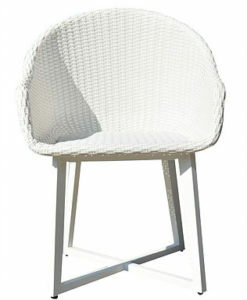 This Modern Powder Coated Aluminum Textilene Outdoor Dining Chair is so versatile it can can go from backyard party to warm summer nights. 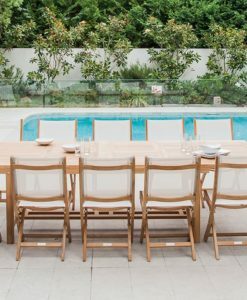 It also lends a bright and airy atmosphere that can’t be beat. 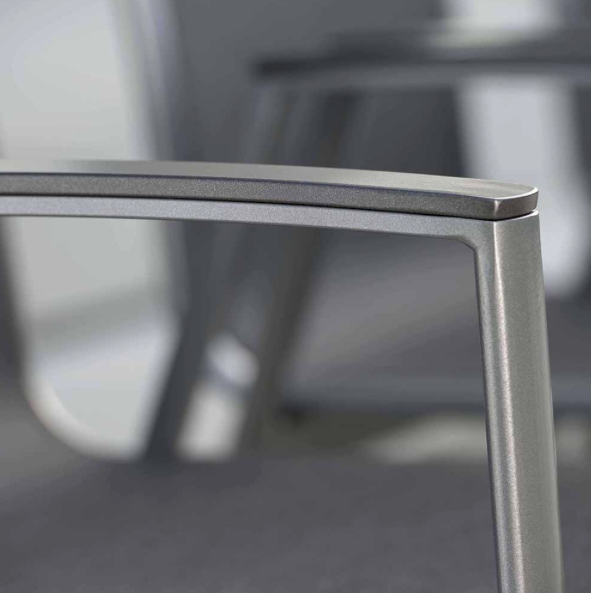 The armchair New Top is characterised by its continuous seat slight and the distinctive front legs with their 45% outward angle. 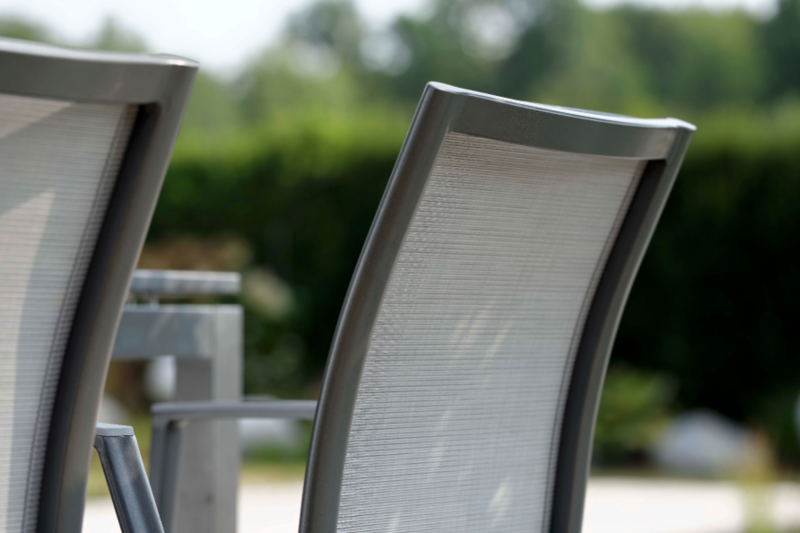 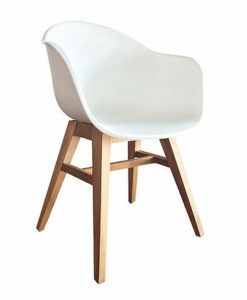 Furthermore, thanks to the materials used it is low-maintenance and light. 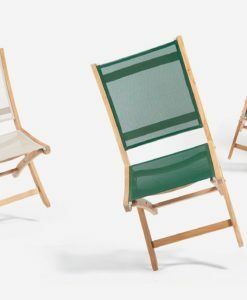 It is available in the five colors. 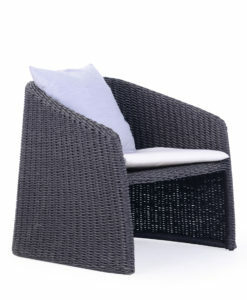 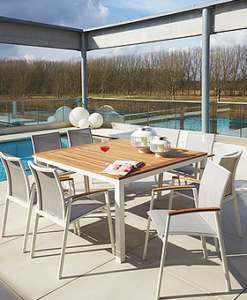 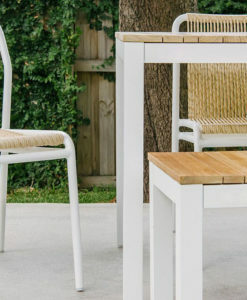 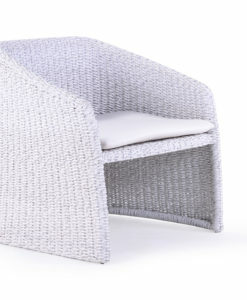 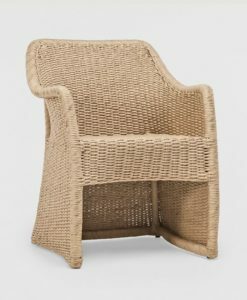 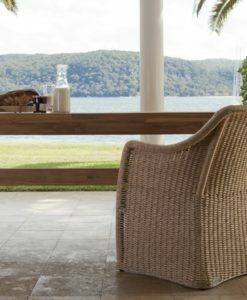 It can be matched perfectly with a table from the ‘Alec’ collection to create the perfect outdoor environment suitable for family dining or entertaining company. 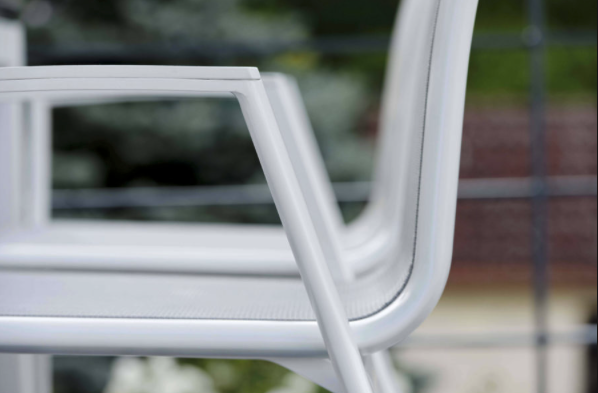 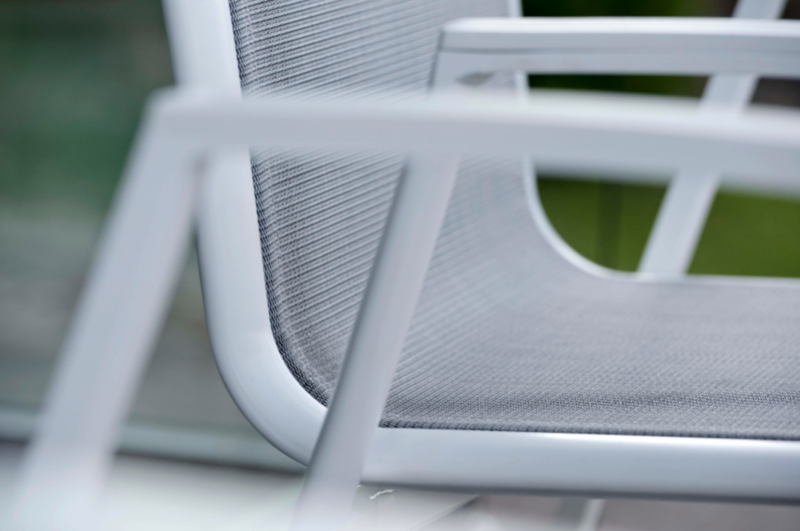 Our durable and unique aluminium furniture is based on a fascinating combination of innovative materials and modern design. 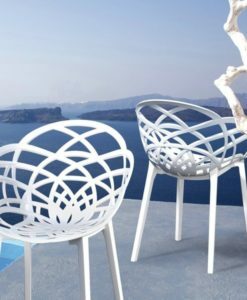 Aluminum furniture with powder coating provides high corrosion resistance and is available in an extensive range of colors.